Celebrate the release of “Bloom” with Brain Rapp and Brandon Carlyle. Coffee and pastries are free courtesy of Rabbit + Fox. LaVan Anderson will be selling small flowers and herbs—perfect for the arrival of spring. Limited edition merchandise will be available as well. ANY AND ALL PURCHASES receive a complimentary copy of the album. Brain has joined forces with Aggie and Michael to create THE NEURONS. Admission includes a complimentary drink and a copy of the album. 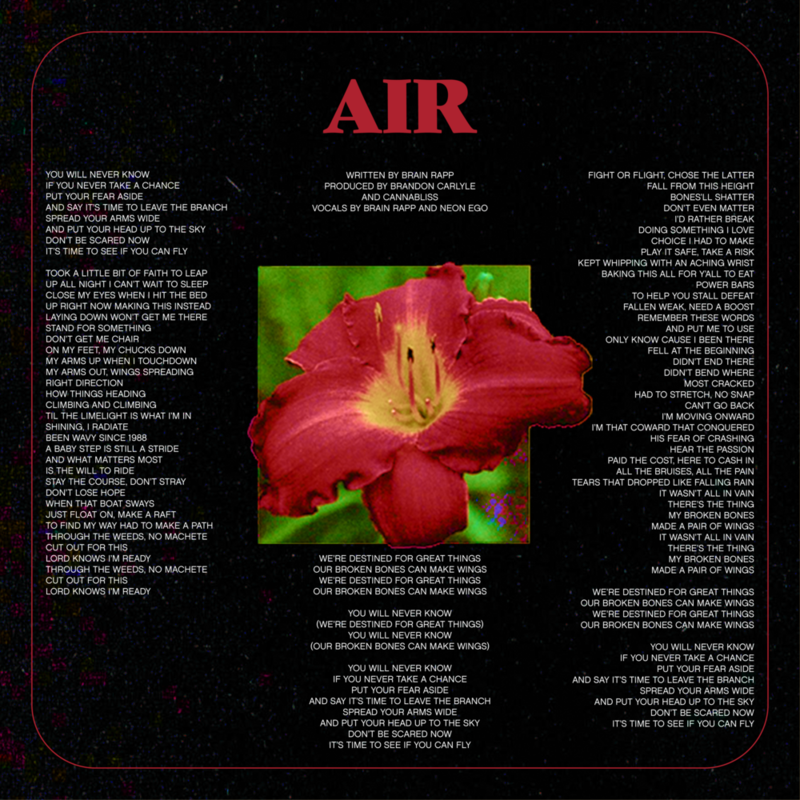 Watch and listen as I walk you through the first single from my upcoming album, “AIR”. Streaming everywhere 1/29.